Passport Coffee Arabica fresh roasts to order specialty coffee from Africa, featuring both cultivated and wild arabicas such as Kenya AA, Tanzania Peaberry, and Ethiopian Yirgacheffe. Vibrant Indonesian arabicas are from the high-elevation plantations on the tropical islands of Java, Sumatra, Celebes Kalossi, and Papua New Guinea. South and Central American coffee features aromatic arabicas such as Brazil Estate, Colombian Supremo, Costa Rican Tarrazu, Guatemalan Antigua, Honduras Princessa, Mexican Pluma Altura, and Jamaican Blue Mountain. KENYA AA | Deep, profound character. Rich, wine-like flavor. Grown at altitudes over 6,000 feet, Kenya AA exudes a bright fragrance and strong body that echoes the intense beauty of Eastern Africa. TANZANIA PEABERRY | Clear character & rich flavor of a full-bodied Cabernet. Cultivated in the mountainous regions of Tanzania, peaberries are a natural mutation, where only one of the two normally flat-sided beans grows. Thus, the coffee fruit bears only one round-shaped peaberry. Like all fine East African coffees, Tanzania Peaberry exhibits a wine-like character with a delightful balance of body and flavor. ETHIOPIAN YIRGACHEFFE | Lively, exciting & wild. Rich body and texture. Farmers in Ethiopia continue to harvest coffee cherries from wild trees, native to these high plateaus. Naturally acidic, Ethiopian Arabica exhibits a pleasant sharpness with exotic, earthy undertones, similar to a thick-bodied liqueur. JAVA ESTATE | Aromatic & Spicy. Exciting flavor. Buttery texture. Estate Arabica from high-elevation plantations on the mountainous island of Java is a full-bodied coffee that exudes an exciting flavor with lush, warm undertones. SUMATRA MANDHELING | Tongue-tingler. Exotic, rich & spicy. Heavy body. Arabicas from Sumatra are generally unwashed, natural coffees with low acidity & uniquely full-bodied, almost syrupy. Naturally spicy with earthy undertones. CELEBES KALOSSI | Vibrant. Aromatic. Full bodied. Fine Indonesian Arabica from tropical plantations on the mountainous island of Sulawesi (Celebes). A full-bodied coffee with exciting flavor and spicy undertones. The high-grown washed Arabicas are of full-body with a perfectly balanced taste. Papau New Guinea are sleepers in the specialty coffee trade, that have the potential to be among the best. KONA #1 (Extra Fancy) | Superb aroma. Medium body. Buttery texture. Nourished by the volcanic soil on the Big Island of Hawaii, Kona yields one of the world’s finest coffees. The constant cloud-cover contributes to these ideal growing conditions. Kona exudes the warm undertones of cinnamon and cloves. Medium acidity gives Kona its crisp tang. The perfect cup to perk you up. BRAZIL ESTATE | Attractive aroma & flavor with a mellow body. A pleasant coffee for those who enjoy mild coffee. 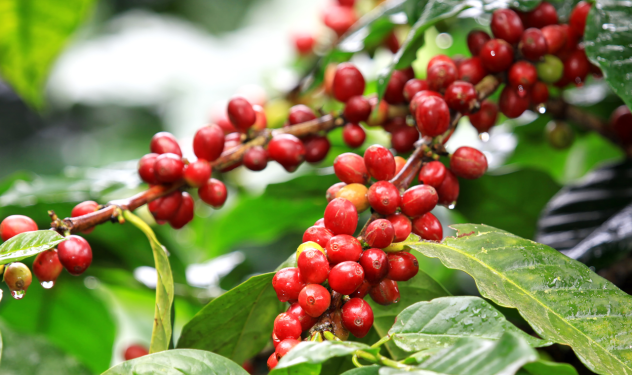 This Estate grown coffee is known for its attractive flavor & smooth body. COLOMBIAN SUPREMO | Superb aroma & flavor. Mellow, buttery body. Considered the highest grade of Colombian coffee, Supremo’s exuberant aroma compliments its mild body and caramel undertones. COSTA RICAN TARRAZU | Warm, nutty undertones. Vibrant flavor. 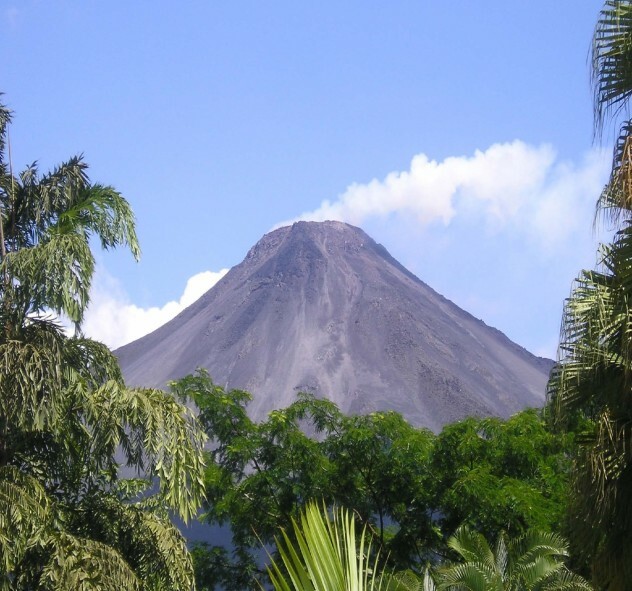 Harvested on the Pacific slopes at elevations of 4,000 to Arenal Volcano Costa Rica (1)5,400 feet, these Strictly Hard Beans yield an aromatic brew. Its excellent acidity contrasts with the gentle body. Tarrazu’s clear, crisp flavor makes it an excellent bean for blending with other Arabicas. GUATEMALAN ANTIGUA | Aromatic & full-bodied. Bright, yet mild flavor. Sophisticated undertones. Perfectly balanced. One of the world’s highest grown coffees, Guatemalan Antigua benefits from the rich, volcanic soil and the long, temperate growing season. Simply superb. MEXICAN PLUMA ALTURA | Smooth body. Clear, mild flavor. Gentle undertones. Classified by altitude, Altura coffee grows above 4,000 feet. Pluma Altura, from the Oaxaca region, produces a medium body with a subtle, slightly sweet nuance. JAMAICAN BLUE MOUNTAIN | Highly aromatic. Rich and full bodied. Lingering, savory flavor. 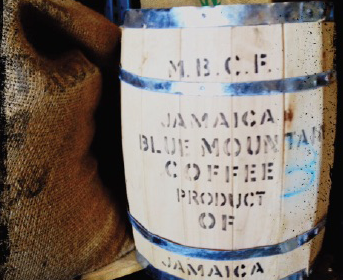 Grown in the cloud covered jungle of the Blue Mountain district, the Jamaican beans take on the soil’s bluish hue. Proof of certification can be provided.